Learn to create your own quiz with this step-by-step PowerPoint tutorial. Make your training more engaging and interesting with this useful tutorial. Why would you need a quiz in PowerPoint? Many times, product or process training sessions are boring for the audience. It is not easy for a trainer to know whether the audience has understood the information presented. A simple way to keep your audience engaged in such sessions is to add a simple and interesting quiz as part of the slide deck. In this article you will learn to create the quiz format in a step by step manner. There are no fancy ‘clapping sounds and swirling animations’ included. The format uses hyperlinks and relies on your energy as a facilitator to create the rest of the magic. To create the page, open a new slide. Give it a title (we called it ‘The front page’ for ease of explanation). On the body of the slide add as many text boxes as there are questions in your quiz. Number each box to indicate the question number it links to. Write your question as the title of the slide. Include the options for answers on the body of the slide. 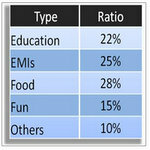 Format the options in such a way that the options are evenly distributed and the sizes of the text boxes are uniform. Add a tick mark (any image of a tick) to indicate the right answer. Click on the image, go to Animation> Custom Animation> Add Effect> Entrance> Fade > Start: ‘On Click’. Include as many slides as there are questions in your quiz. Don’t forget to number the questions to avoid confusion later. Go to ‘The front page’. Right click on ‘Question 1’ and go to ‘Hyperlink’ option. You can also use a shortcut key of ‘Ctrl+ K.’ This will lead to ‘Insert Hyperlink’ box and use these settings. ‘Select place in document’ box. 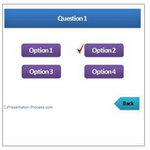 Select ‘Question 1’ slide and press OK.
Now ‘Question 1’ text box on your front page is linked to ‘Question 1’ slide. You need to have your question slides ready before you can hyperlink them. Repeat the process for the rest of the questions. We need a way to get back to the ‘Front page’ after we finish asking a question. 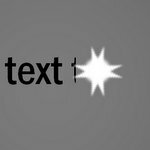 So, create a text box with ‘back’ written on it. Stick it at the bottom right corner of ‘Question 1’ slide. Right click on ‘back’ button. Go to ‘Hyperlink’ -> Bookmark ->Select ‘The front page’. When you click on the ‘back’ button in slide show mode, you will go to the front page from where you can navigate to the rest of the questions. 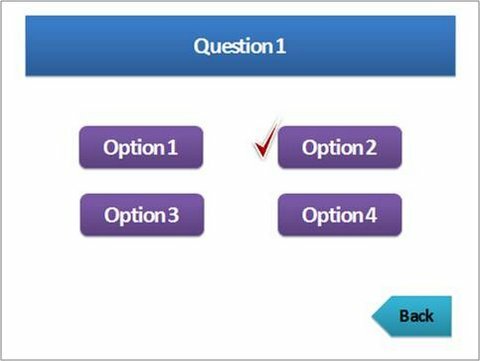 Copy the ‘back’ button in ‘Question 1’ and paste it on all the slides using ‘Ctrl +V’ or Paste option. This will ensure that the back button is positioned at the same place in all the slides. Since the button is already hyperlinked to the ‘Front page’ you don’t have to hyperlink the button each time. 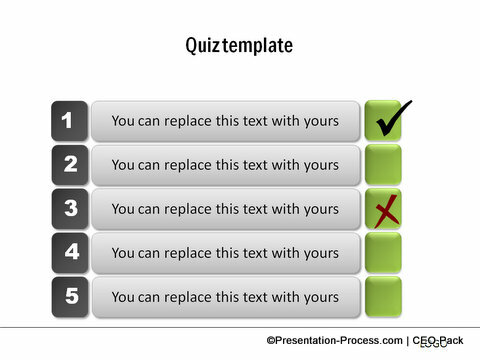 Your quiz in PowerPoint in ready! Conduct the quiz and have fun! Your quiz is now ready to roll in the classroom. Go to slide show mode (F5). Click on the question number you want to go to. Ask the question. Get the answer from your audience. When you press ‘Enter’ the Tick mark will indicate the right answer. 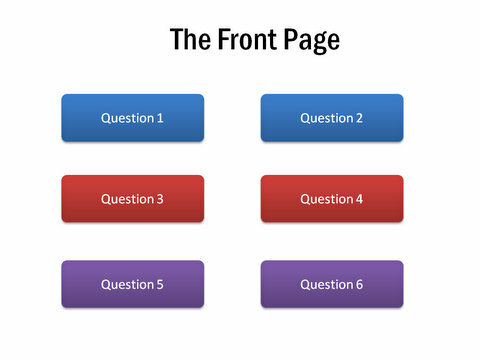 Press ‘Back’ button, go to ‘Front page’ and continue the quiz. 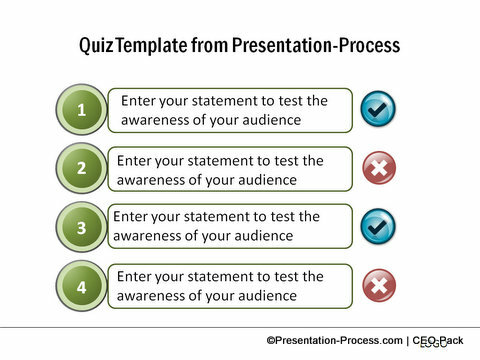 The simple quiz format you learnt to create will add spice to your presentation. To know how to gamify your classroom with more quizzes in PowerPoint, go over here. You can categorize the questions as per their difficult levels or subject and let your audience choose their questions in ‘Jeopardy’ style. You can use the pictures of Hollywood stars and let your audience choose a star (and related question) instead of a boring number in the First Slide. Let your imagination guide you to come up with alternatives for other types of quiz in PowerPoint! We have a whole range of business concepts ‘readily animated’ for a trainer or business manager like you, to use in your presentations. All of them work with Custom Animation Option. You can take a look at some of the options we have created here. 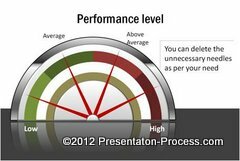 These animated templates are part of our ‘750+ PowerPoint Charts and Diagram Templates pack for CEOs’. All the 750 templates in the pack are fully editable. 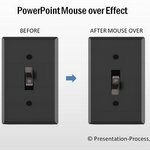 You can copy our diagrams to your slides and your presentations get ready in minutes. Our pack not only saves you time, but also makes your slide deck look more professional. Why leave your critical business presentations to chance when you have such a useful product available off the shelf? 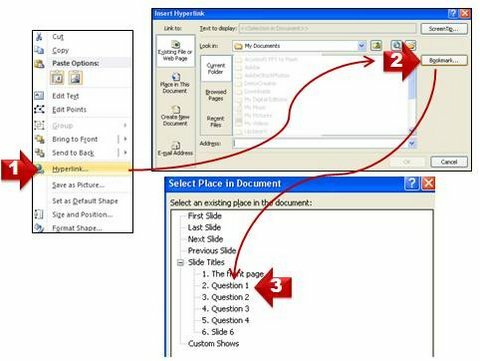 If you liked this article on creating quiz in PowerPoint, please do share it!.